One way to teach children how the ear works is to make a model of a human ear. 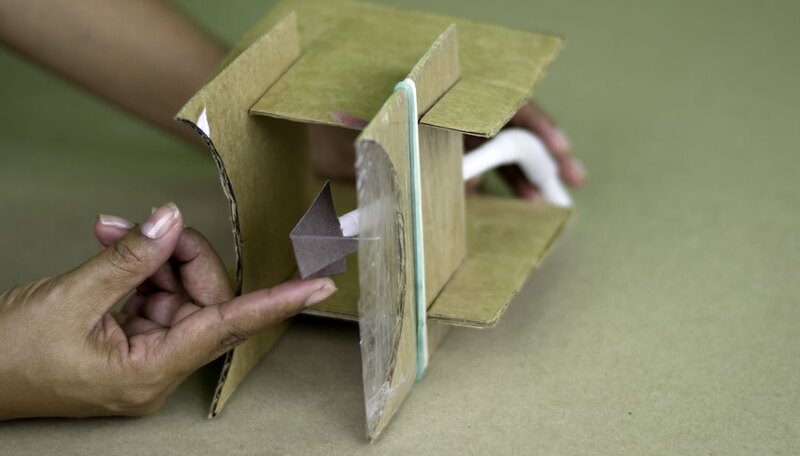 This particular model can either be made ahead of time by your, or the students can build the model ear. 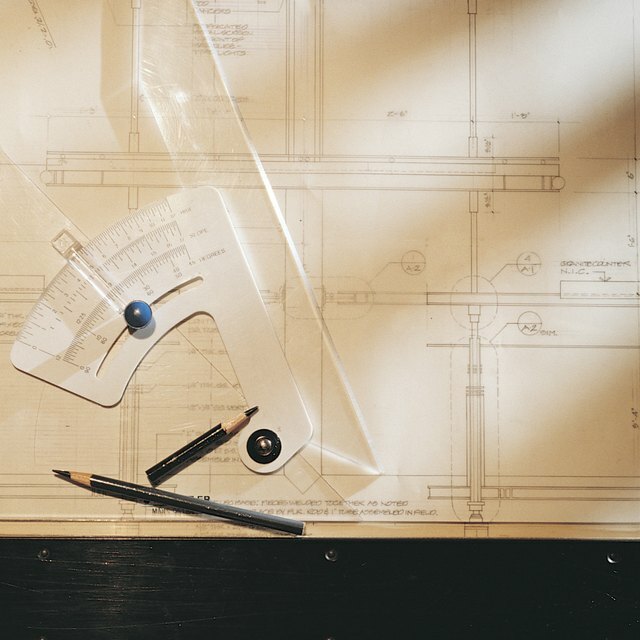 It requires some measuring and cutting skills. When the ear is complete you can explain how the human ear and its many parts function. 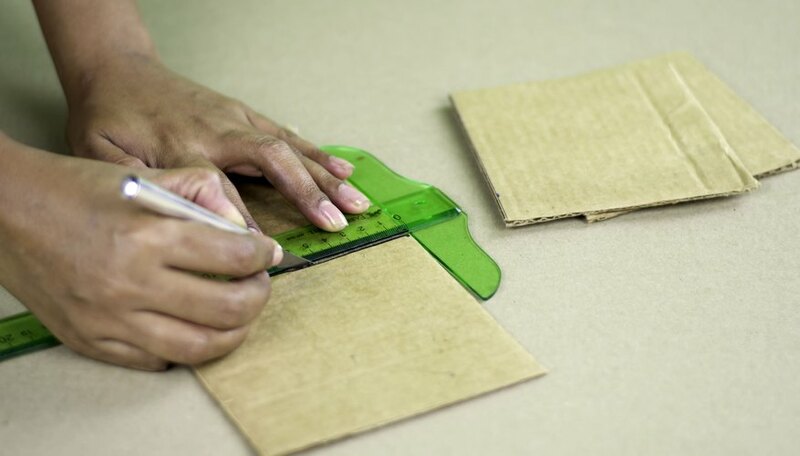 Carefully cut out two sides of a medium size, rectangular, cardboard box. Both rectangles need to be the same size, then cut both rectangles in half. Place the side of the cheesecake pan on the cardboard. Allow one half of the circle to lie on the cardboard, and one half of the circle to lie on the table. 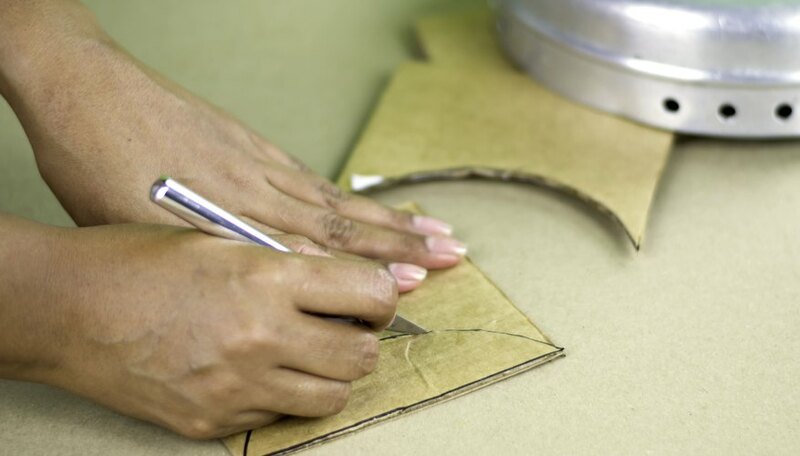 With the pencil, draw a semi-circle around the outside of the cheesecake pan on the cardboard. Repeat with the other piece of cardboard. Carefully cut the semi-circle shapes out of both pieces of cardboard. 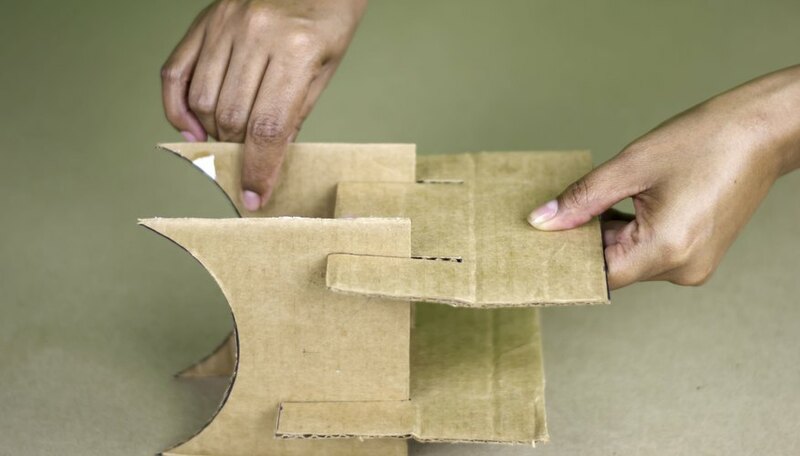 From the remaining cardboard, make a stand for the two semi-circle pieces of cardboard by cutting two pieces of cardboard, each one should have two identically measured slits on either side of them. The two semi-circle pieces of cardboard will slide into these slits. The four pieces of cardboard should be used to form the capital letter "I," and will hold the spring form pan in place in the semi-circle cut out. Spread plastic wrap across one side of the spring form pan. 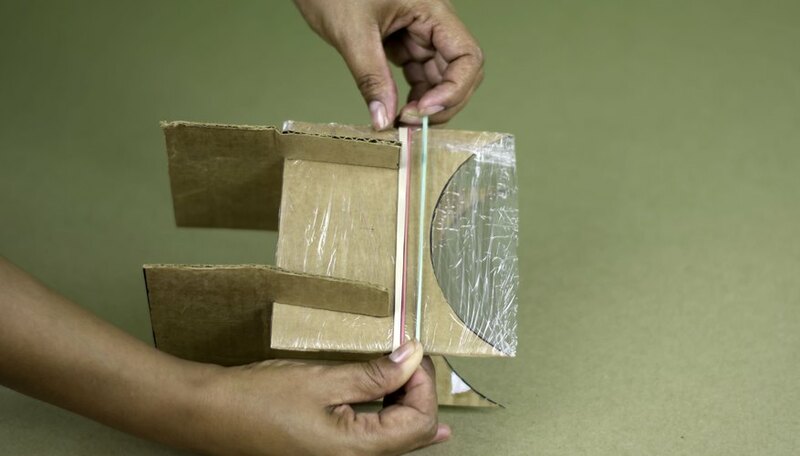 Secure the plastic wrap with a large rubber band. Make sure the plastic wrap is stretched tight like a drum. Measure and cut a 3 inch equilateral triangle out of cardboard. 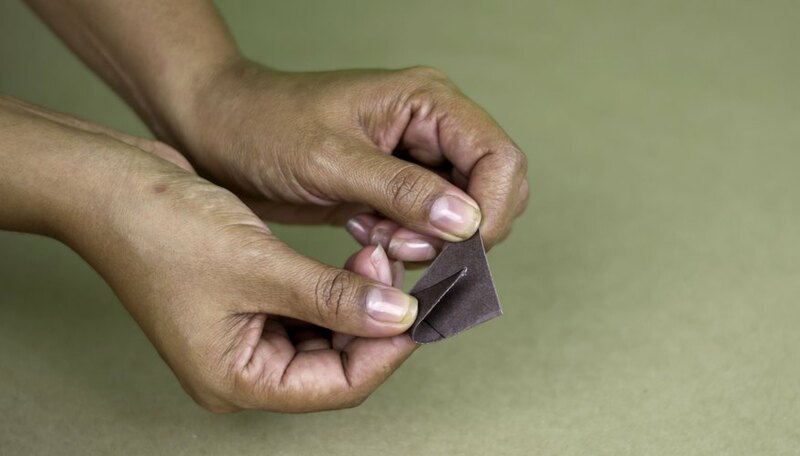 Fold a flap along the base of the triangle. Fold the triangle in half. 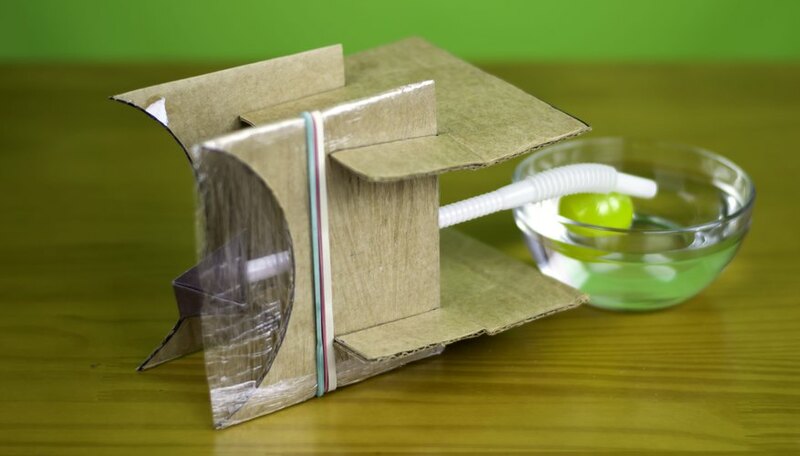 Glue the straight end of a bendable straw to the inside of the folded cardboard triangle to make the ear canal. Glue the triangle shut, and glue the triangle to the center of the plastic wrap "ear drum." The opening of the straw should touch the plastic wrap drum in the center. Allow to dry. Bend the straw. 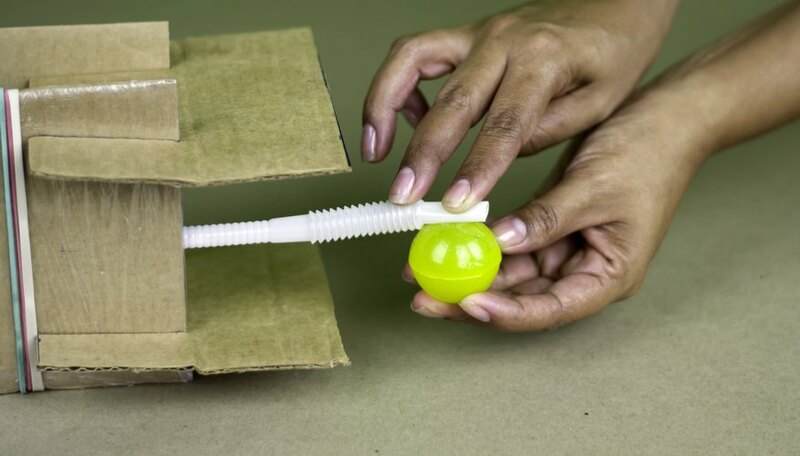 Attach a ping-pong ball to the end of the straw with double-stick tape. Pour water into a clear glass bowl or plastic tub. 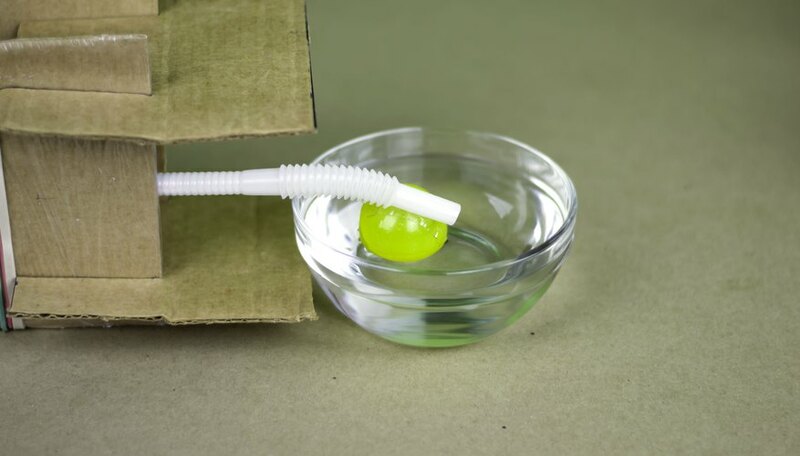 Dip the ping-pong ball into the water. It may be necessary to raise the water bowl with a stack of books for it to be even with the drum. Make sounds behind the drum without touching it and watch the water ripple from the sound waves. Experiment with different sounds and volume frequencies to see what effect they have on the water. What effect do they have on the children? Earnest-Pravel, Donna. "How to Make a Model of an Ear for Children." Sciencing, https://sciencing.com/make-model-ear-children-5833451.html. 24 April 2017.